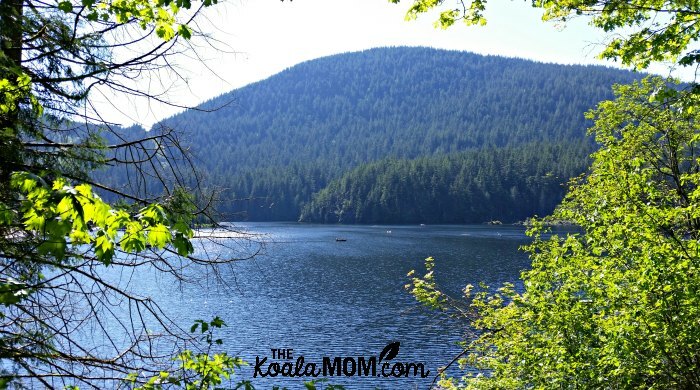 Ever since moving to Vancouver, we’ve heard friends raving about the Buntzen Lake Recreation Area. 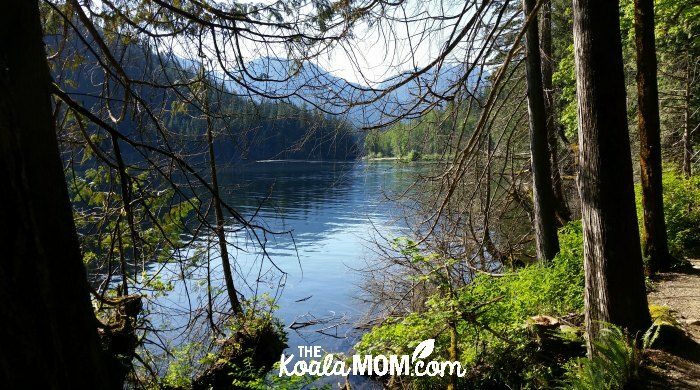 Located about an hour from downtown Vancouver, this beautiful man-made lake and second-growth forest is the perfect way to escape the city on a summer afternoon. 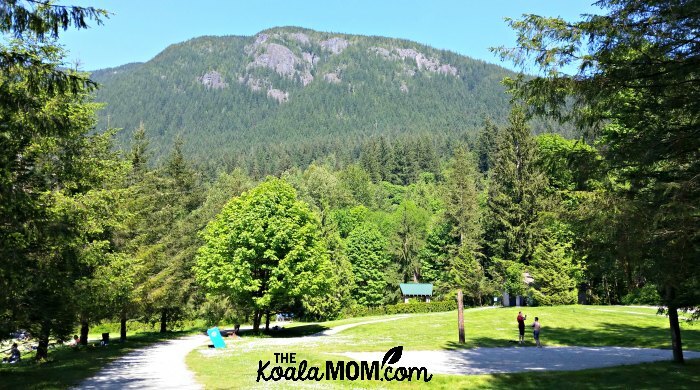 Buntzen Lake offers a picnic area, beach, hiking trails, and boat launch—in short, there’s something for every outdoor enthusiast. We thoroughly enjoyed our afternoon there and hope to return frequently this summer. After Pearl woke up from her nap, I packed a daypack with water and snacks for us. I found all the girls’ sunhats and got them into appropriate footwear for hiking (“no, you can’t wear your crocs for an 8 km walk…”). Finally, we were out the door and into the van, heading for Belcarra Regional Park. Once we’d driven through Port Moody and around the end of the Burrard Inlet, there were plenty of signs to help us find Buntzen Lake. Other signs warned that the park was full (it was late afternoon on a gorgeous sunny day), but we found plenty of parking when we arrived. At Buntzen Lake, we paused to view the map by the ranger’s station. Then we headed towards the picnic area, where we made another stop at the washrooms. Finally, we were on our way around the dog park and down the trail. Here, the girls finally began to get excited about the hike. The trail started beside a gurgling stream, crossed a wooden bridge, and passed through tall, shady trees. I pointed out flowers and ferns to the girls. 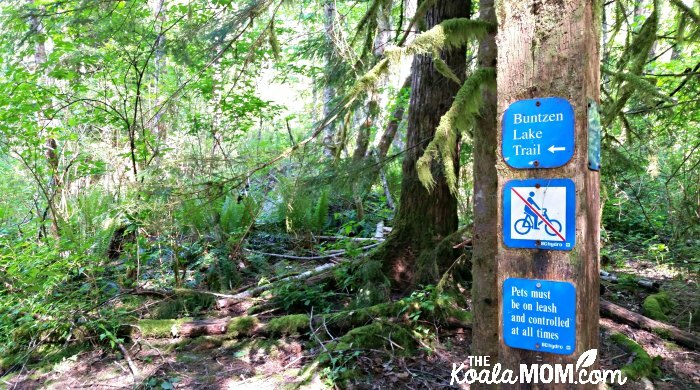 There’s a large network of trails around Buntzen Lake. Most are on the slightly longer side (5 to 8 km). I had no cell phone reception up there, so we were relying on our memories of the map to get us around the lake. I was glad to see that the trails were well-marked, with blue signs at every junction. Staying on the lake trail, I also pointed out to the girls that the lake was always on our left, as we were walking a circle around it. The trail all the way around the lake was well-maintained. Along the east side, the trail is wide enough to walk side by side (or easily pass hikers coming back along the trail). There were wide bridges over the small streams that flowed down the mountain into the lake. Many of the bridges looked (and smelled) like they were new this year. 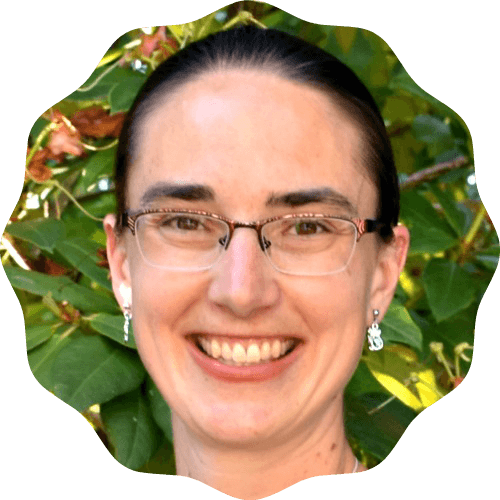 In fact, as we hiked, I began to think I could have put Pearl in the jogging stroller instead of carrying her. However, there was one narrow, steep section just before the beach at the end of the lake (halfway around) that wouldn’t have worked with the stroller. Buntzen Lake was as busy with boats as the trail was with hikers. Close the beaches, many people were floating on inner tubes. Further out, canoes and kayaks explored the lake. We passed a few fishermen hiking back along the lake with their tackle (but no fish). The lake itself is long and narrow, filling a valley between two mountain ridges. Hiking with four children of course requires some amount of motivation. Jade in particular alternated between running ahead down the trail and complaining that her legs were tired. Sunshine soon began complaining that her feet hurt, and that we should turn around and play on the beach back at the picnic area. Snacks from the backpack helped keep the girls going for a little bit. For another section of trail, they’d run ahead to a root or log and pose for a picture. 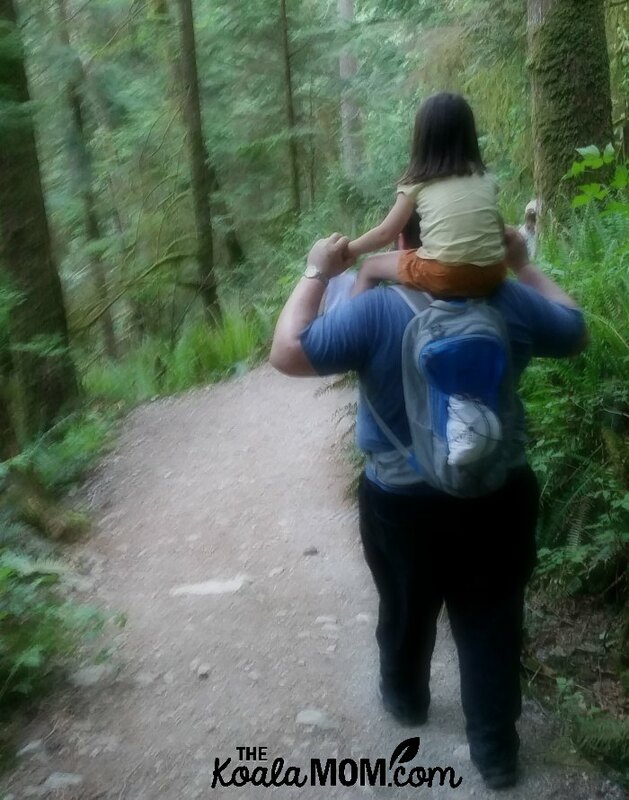 Pearl wanted to walk a few times, so when she was down, I put Jade up in the backpack for a break. 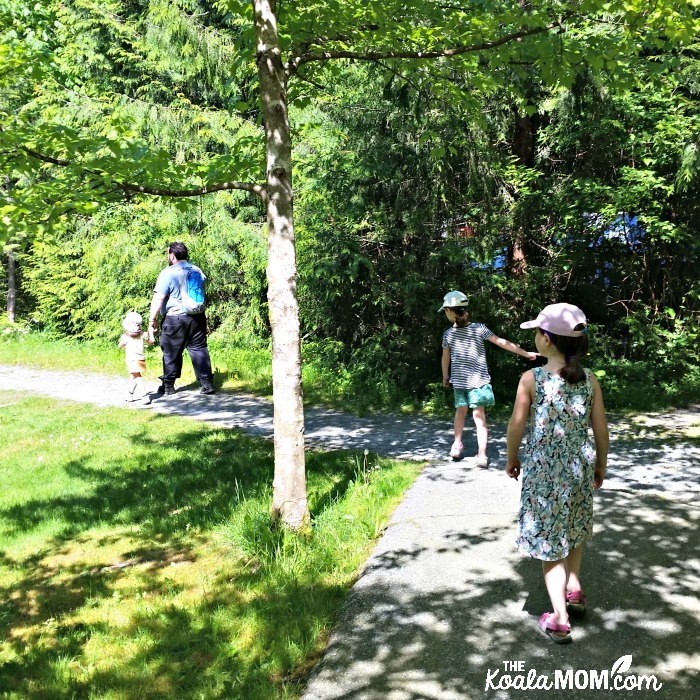 When Jade and Lily were running ahead, I did my best to keep up to them, then got them to wait further down the trail until my husband and Sunshine caught up to us again. About a third of the way around the lake, we found a lovely little beach with no one else around. 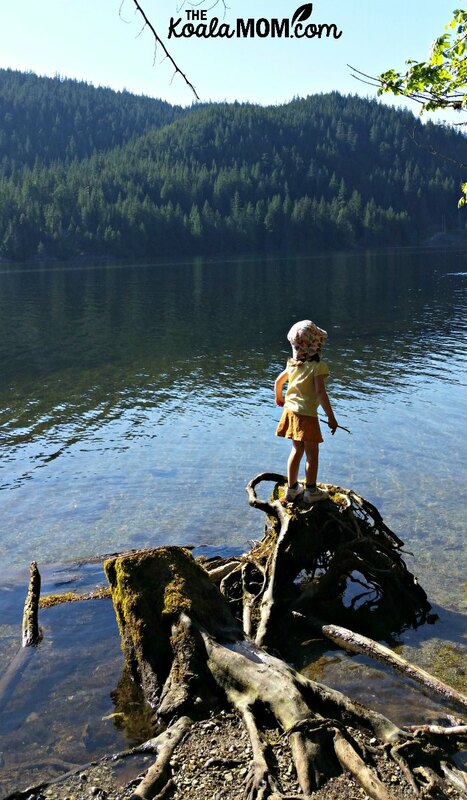 Jade and Lily climbed up on a knotty old root that gave them a great view of the lake—including the beach at the end. Sunshine waded in the cold water. I dished out chocolate covered blueberries (nothing like a bit of chocolate to help when hiking). We all had some water. Then we kept trekking. At the end of the lake, the trail joins the fire road for twenty steps before veering back down a steep, narrow section to the beach and picnic area. The trail comes down beside the BC Hydro water outlet, and included a sign and plaque with information about the dam and water reservoir. 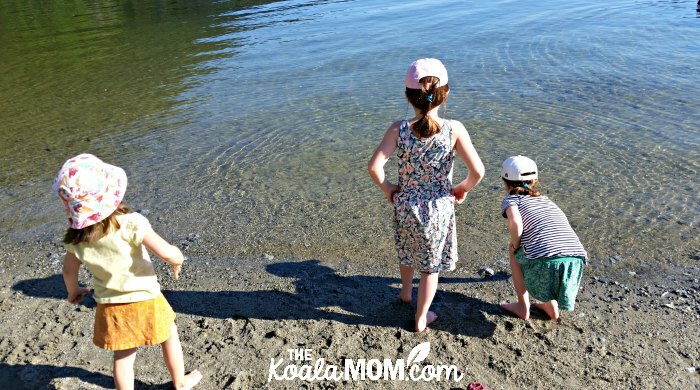 My husband and I read the information quickly, but the girls were more interested in playing at the beach than learning about the history of the area. My husband did pack our swim gear for the afternoon, though we left it in the van. I suspected the lake would be too cold for much swimming, and I was right. The girls headed straight for the water when we arrived at the beach. 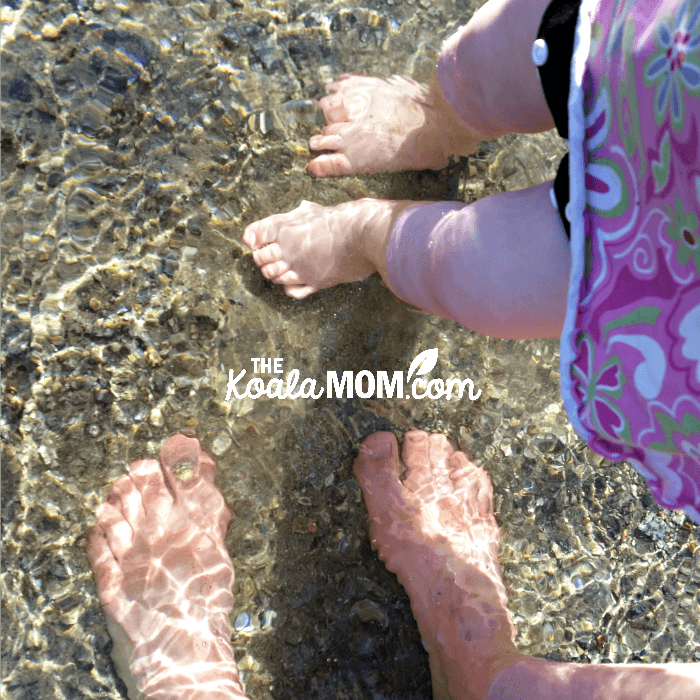 In seconds, their shoes were off and their feet were in the water. In the second, they were back out of the water. The lake, at the end of May, was still icy cold. I helped Pearl out of her socks, shoes, and pants and watched her follow her sisters into the water. The look on her face, when she got knee-deep and realized how cold it was, was priceless. 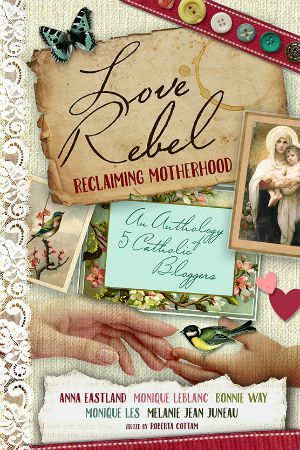 I swung her back to shore, where she happily found a stick to poke at the sand, and marched around on the rough rocks without care. We had our snack and more water at one of the picnic tables. The girls played in the beach for about half an hour. The beach was busy with several groups who had canoed over, and others who had hiked around like us. Then we threw out our garbage, put socks and shoes back on, and continued down the trail. We checked another map at the end of the beach, which advised that the western trail is a bit rougher than the eastern trail, and that the parking lot gates closed at 8 pm. It was 6:30—we’d spent about two hours hiking the eastern side of the lake. We bounced across the suspension bridge at the end of the lake. Sunshine had a walking stick she’d found at the picnic area, and the cold water had restored her sore feet. Jade and Lily resumed running ahead. Nothing like food and a break to restore hiker’s spirits! The trail along the western edge of the lake is definitely narrower and less maintained than the eastern trail. We didn’t meet anyone on this side, compared to the many hikers walking the other side. The trail veered in and out of the trees and the cut line below the BC Hydro lines. We saw our first wildlife—a very shy squirrel—and heard more birds singing in the trees. Lily worried about the bear and cougar warning signs we’d seen. I talked to them about staying together and making lots of noise (not a problem with our little chatterboxes!). We didn’t stop for a break on the way back. The girls were troopers for the last 4 (or more) kilometers. Pearl again walked several sections, marching along holding my hand and Sunshine’s or Lily’s, while Jade rode in the baby carrier. Jade also rode on my husband’s shoulders for a few stretches. I kept pointing out canoes on the lake, flowers by the trail, and anything else that would distract them from sore feet and legs. 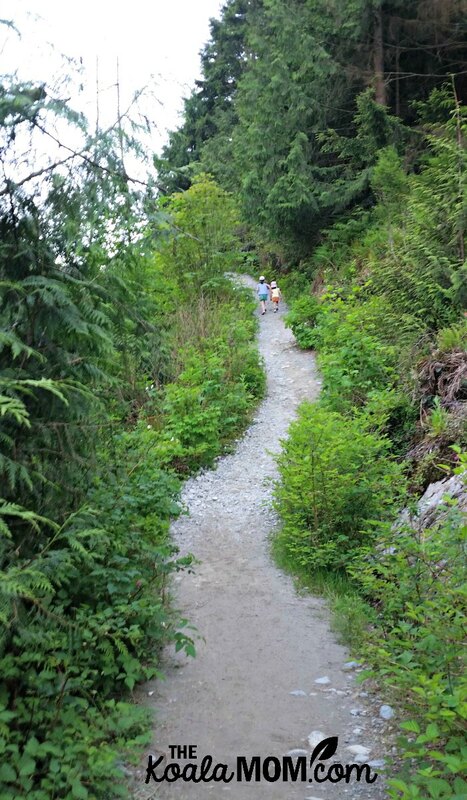 The trail emerges from the forest near a BC Hydro generating station. From there, we followed the fire road for quite a ways. Then we crossed the end of Buntzen Lake on a floating bridge and causeway. From there, we followed the trails back along the road to the parking lot. Here, Pearl refused to be in the carrier. 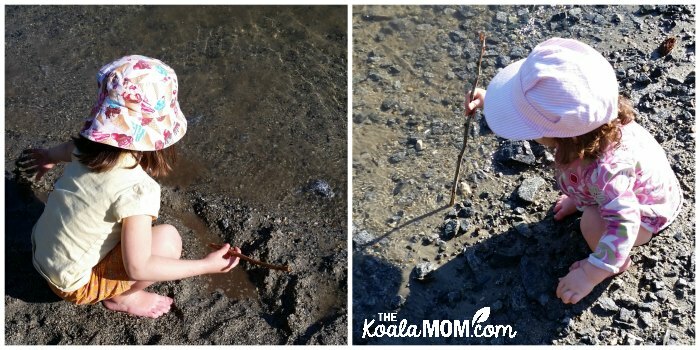 She wanted to collect rocks and sticks and wander the trails with her sisters. 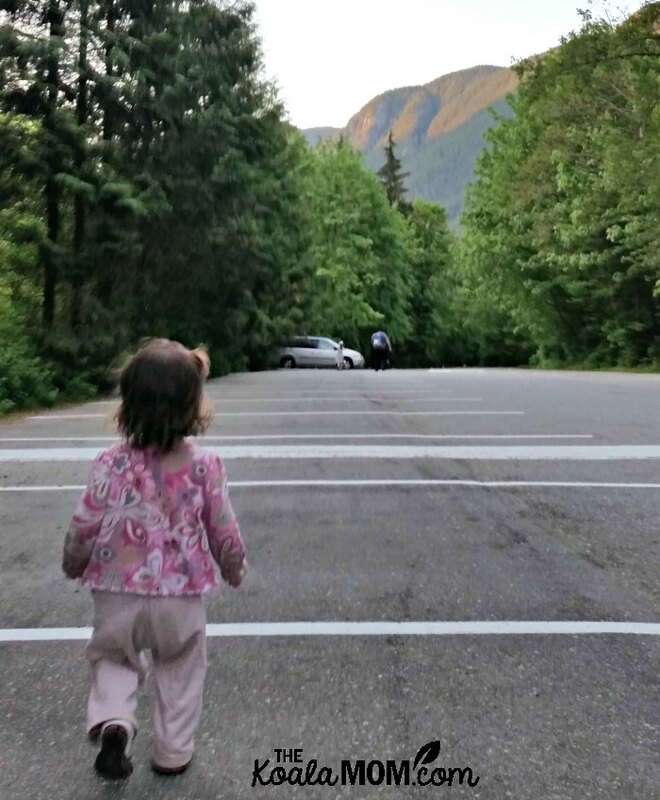 We piled our tired hikers into the van, happy to find that we weren’t the last ones there—and that the gate wasn’t locked. We should have started our hike slightly earlier in the afternoon, but it was still a lovely day. If you’re planning the hike, I recommend taking lots of water and snacks. I had my 2.5-litre Camelback for the trip, but we finished it before the end. Next time, I’d get each of the girls to carry a small backpack with a water bottle and a couple snacks. The 8-km hike around the lake took us roughly four hours with kids, plus half an hour spent playing at the beach. The trees make it a good hike for a hot day, but I’d also recommend starting earlier in the day and giving yourself time to relax on the beach at the end as well. 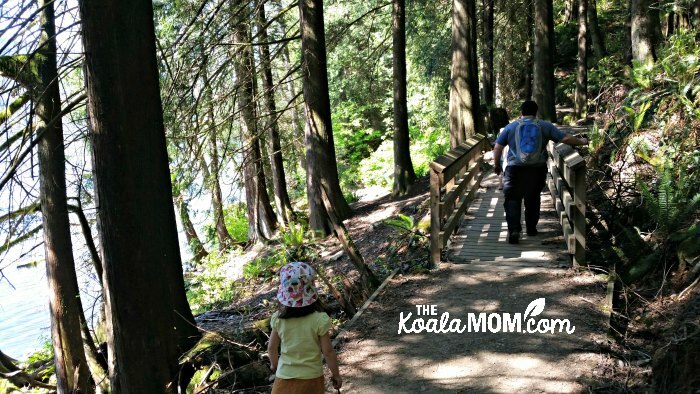 If you’re interested in this hike or have done it, you may like these family-friendly hikes around greater Vancouver as well.